Lawrence F. Kelly, 91, a lifelong resident of Vermontville, died on Thursday, Feb. 7, 2019, at Elderwood of Uihlein in Lake Placid. Lawrence was born on May 11, 1927, the son of William and Mary Keese Kelly. He was a 1944 graduate of Saranac Lake High School and spent 42 years working at Norman’s Wholesale Grocery Store in Bloomingdale retiring in 1989. He also served in the U.S. Army. 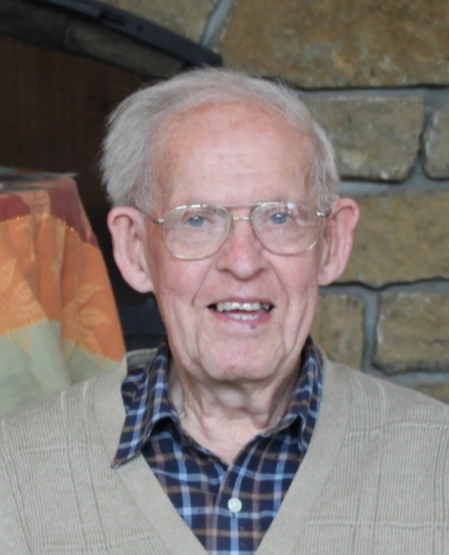 He was a devout member of St. Paul’s Parish in Bloomingdale and his hobbies included golfing, bowling, snowshoeing, and deer hunting. He enjoyed visiting with his neighbors and sitting on his porch and watching traffic pass on state Route 3. He is survived by eight nieces and nephews who he remained very close to throughout his life: Kathleen (Donald) Vincent of Watertown, William Kelly of Glendale, Arizona, Ruth Colman of Albany, Joan (Bruce) Johnson of Evans Mills, Charles (Margaret) Kelley of Phoenix, Arizona, Robert Kelley of Warren, New Jersey, James (Kathryn) Clark of Saranac Lake, and John (Tina) Clark of Vermontville. He was also a beloved Uncle to many grand nieces and grand nephews. He was predeceased by his parents; four sisters: Mary Kelley, Helen Kelly, Winifred Clark Sr. Mary Celeste Kelly, RSM; and one brother, Joseph. He was also predeceased by a niece Carolyn Clark Ingram and a nephew John Kelly. In lieu of flowers, friends wishing to remember Lawrence F. Kelly may make memorial contributions to St. Bernard’s Church in care of the Fortune Keough Funeral Home. Family and friends can also share their memories and sign the online guestbook at fortunekeoughfuneralhome.com.